for $82,500 with 3 bedrooms and 1 full bath, 1 half bath. This 1,186 square foot home was built in 1950 on a lot size of 12.400 Acre(s). Here is your chance to get a country home on 12 acres at an affordable price. Fixer upper to turn into your dream home. 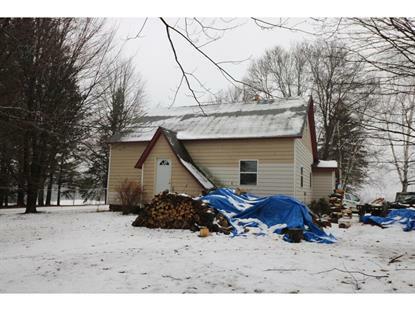 3 bedrooms, 1 1/2 bath with a 2 car detached garage & barn add to this property. Priced to reflect home needing a new roof & some TLC.